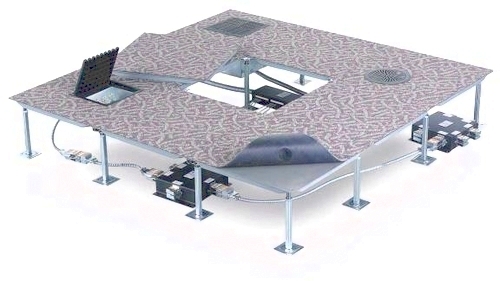 A raised access floor is also known as a computer floor. 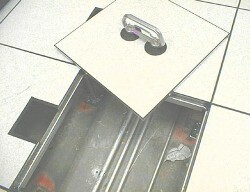 They are becoming increasingly more popular in offices, computer rooms and schools. Raised Access Floors allow for an organised distribution of electrical, computer and data networks, which are easily accessible for maintenance or reconfiguration by simply removing the panels. 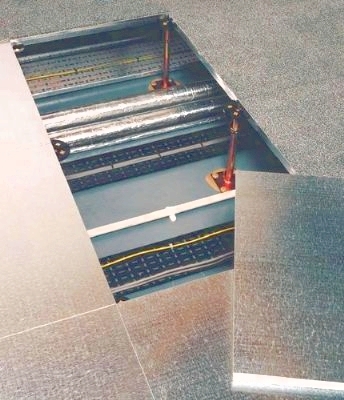 Hampshire Mezzanine Floor can provide a variety of panel finishes including carpet, epoxy paint and anti-static vinyl. If you would like someone from our raised access flooring specialist team to come and visit your premises to provide a quotation, please contact us.